Nearly 70 adults and teenagers participated in the first Kingian Nonviolence Training in mid June. First KNV Week a success! 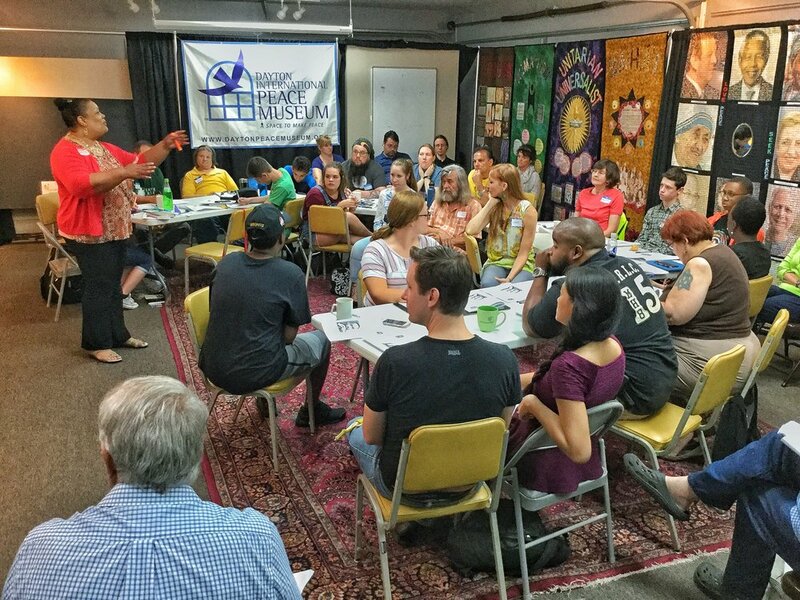 With presenters joining us from Portland and Chicago, the first Kingian Nonviolence Workshops were a true success for dozens of adults and teens in the Miami Valley. Co-sponsored by the Wilmington College's Peace Resource Center, the Museum hosted a free all day seminar on Sunday, followed by two intense days for adults and teens and finally three more days just for teenagers.